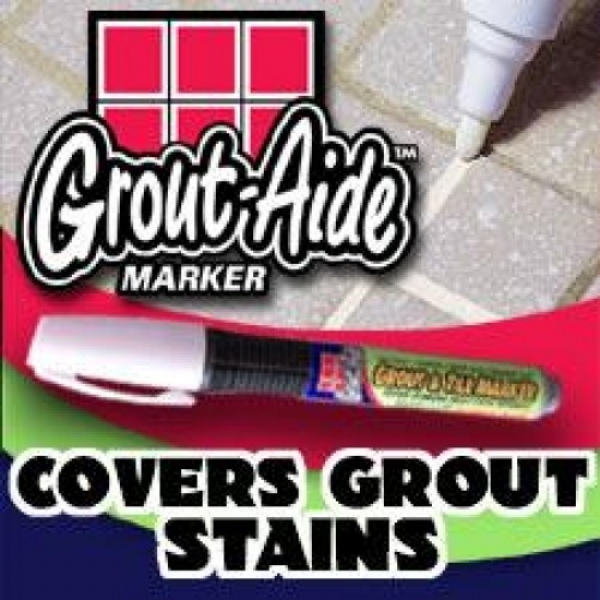 Grout Aide Marker is the easy way to refresh or change the color of grout. Tired Of Looking At Dirty, Dingy Tile Grout?Grout Aide Marker is the safe, easy way to refresh or change the color of grout by covering up stubborn grout stains. Grout Aid dries rapidly, and leaves a clean, uniform grout line without harsh chemicals-completely odorless-no fumes! We have apartments. I clean tile grout all the time and needed this last month. My tubes were dry after a year plus open. Nothing at the stores comes close to the NEAT single swipe application. Won&apos;t be without them again.